By now, you’ve gotten plenty of the optimistic hype. Yesterday I had the chance to peruse the central hall of the Consumer Electronics Show, and I’ll tell you, the term “same as it ever was” certainly applies. Samsung’s booth was a perfect example. While they certainly did have new product, even the marketing term “SUHD” couldn’t help me distinguish this year’s TVs from last years. 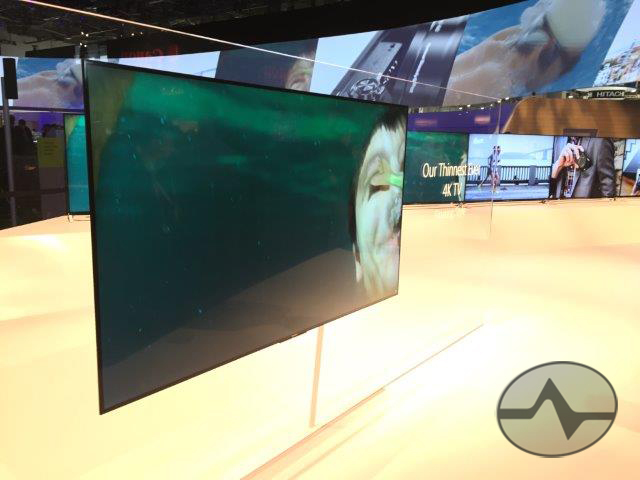 There was much less focus on the internet-enabled appliances, though, and more focus on connectivity within the TVs, thanks to Samsung’s new commitment to the Tizen OS that powers all the new smart TVs. This was probably the only official DIRECTV logo in the show. 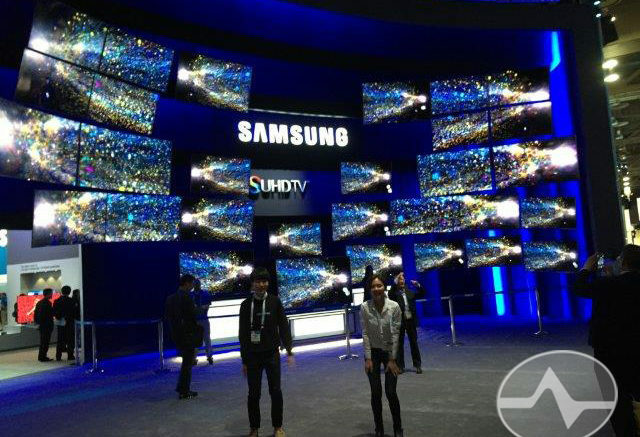 Samsung was the original DIRECTV Ready TV and for 2015 all their 4K TVs will show 4K content within the DIRECTV environment. Sony was back too with a wide variety of products that people don’t really buy. I’m told there was a new Walkman in there somewhere but I couldn’t find it. The good news is that they’ve given up for the most part on chunky curved TVs and instead are focusing on slimmer, lighter 4K TVs. I think that’s the right choice. Probably the most interesting display for me was this one from Sharp. 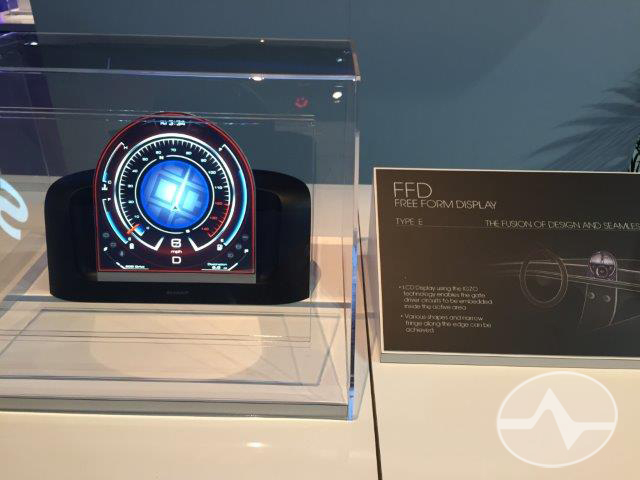 They’ve proven that they can manufacture displays in any shape and that means you’ll see them in all sorts of things in all sorts of artistic ways. This one looks ready to go into your car. 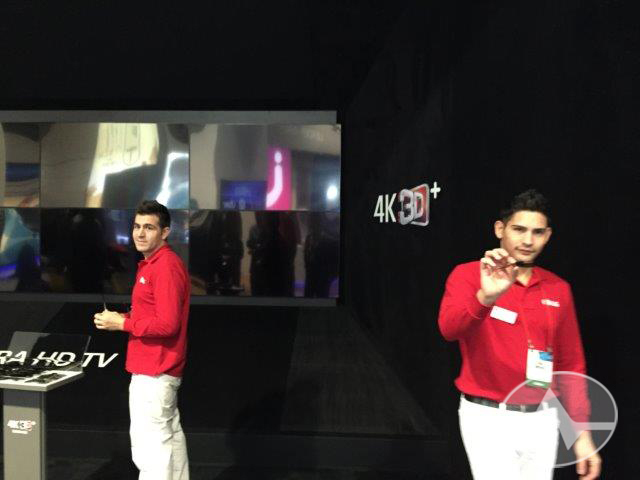 There were several vendors showing glasses-free 3D at the show. Every single one of them looked awful to me. There was barely any depth and if you moved from side to side the entire image wobbled like it was underwater. I don’t have any good pictures of that. Instead, I took a picture of LG’s 4K 3DTV. They’re the only real holdout for glasses-required 3DTV and honestly even the LG rep seemed a bit bored with it. This really was a catchup year for the big vendors in the central hall. It was hard to know what they really wanted to get across other than the fact that all the things they promised last year are actually available this year. 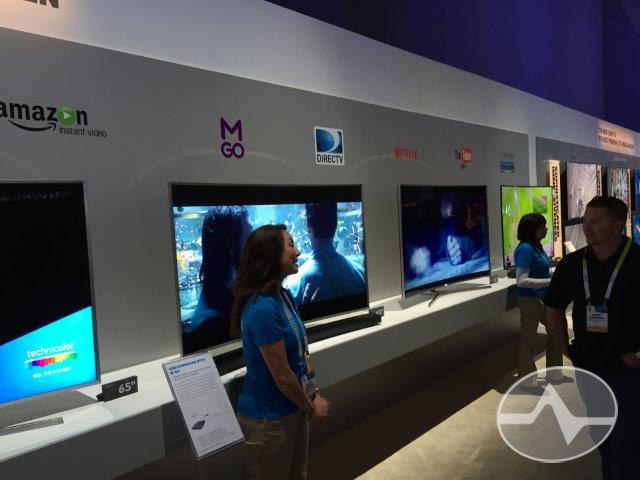 TVs have gotten outrageously big but you don’t need a trade show to tell you that… you can see that when you go to your local Costco or Sam’s Club. I would call the central hall experience a bit of a fail because I didn’t walk away seeing anything I really drooled over.